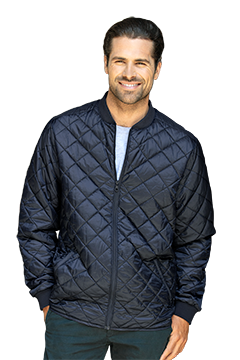 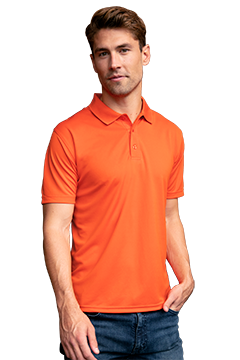 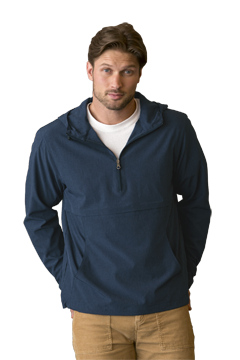 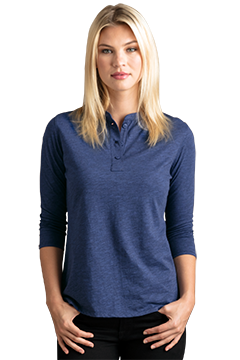 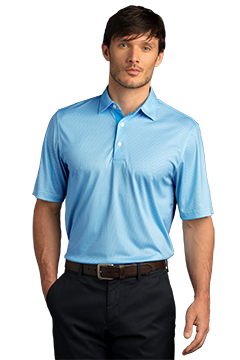 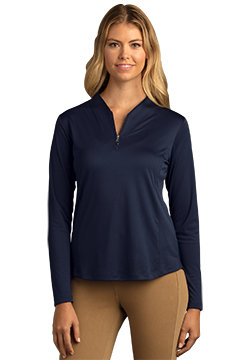 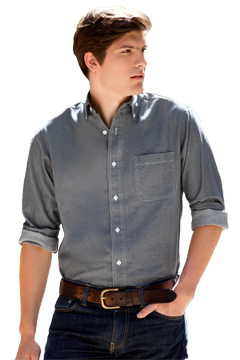 Luxurious, stretch heathered fabric provides maximum comfort for casual outings or full-on play. 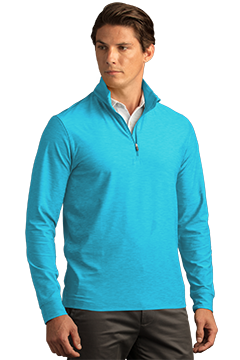 88% polyester/12% spandex, 6 oz. 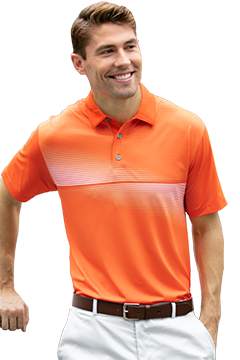 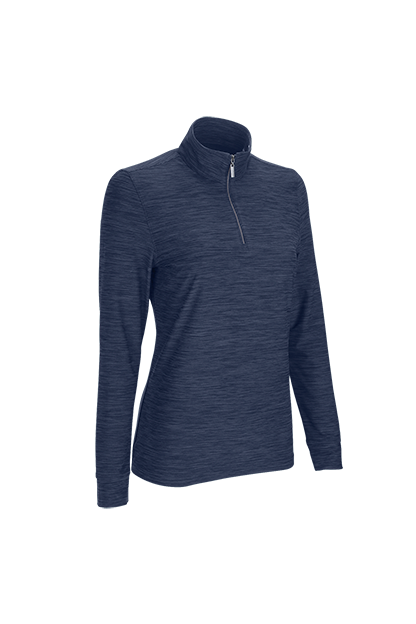 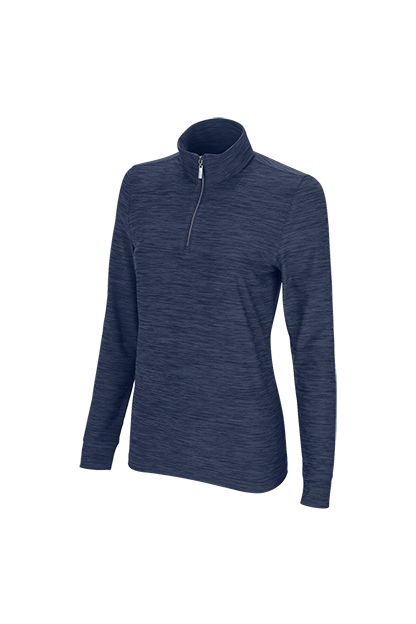 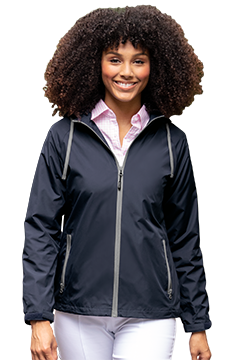 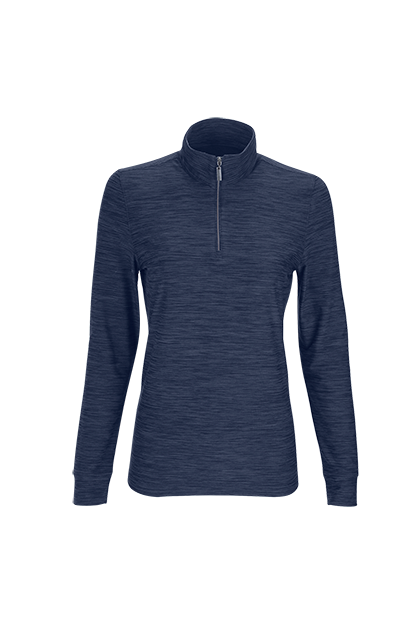 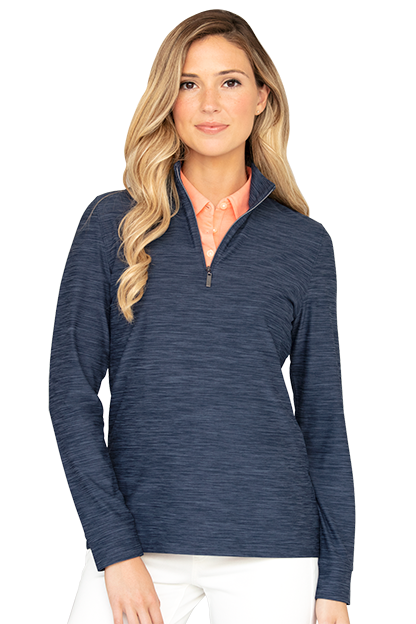 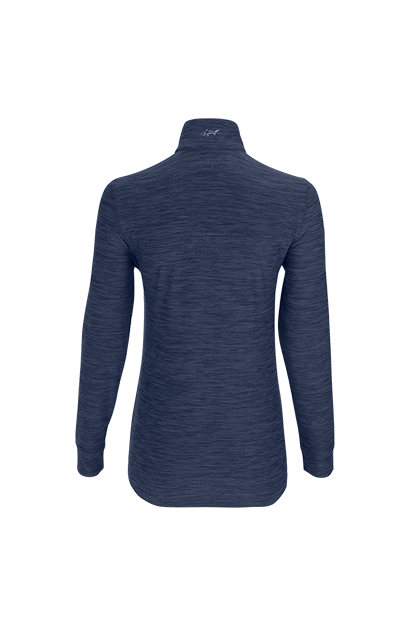 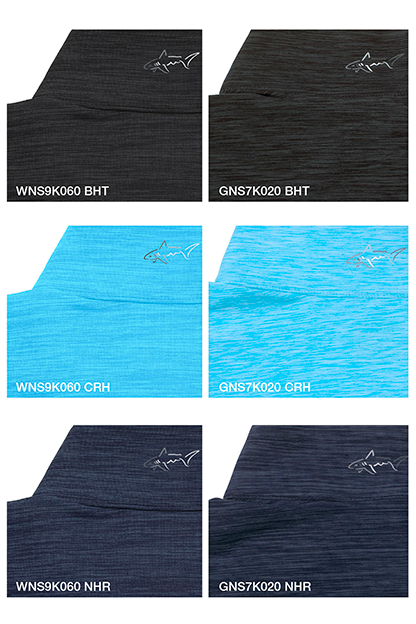 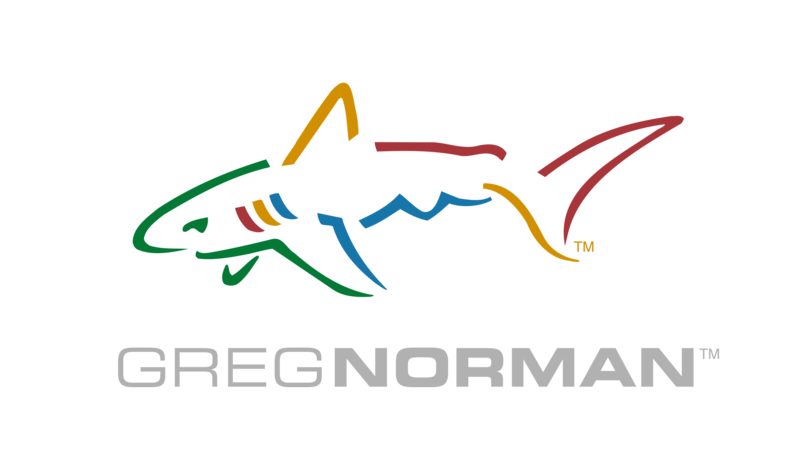 Play Dry moisture management, UPF 50+, stand-up collar, 1/4-zip neck with shark logo zipper pull, and silver reflective heat transfer shark at back neck. 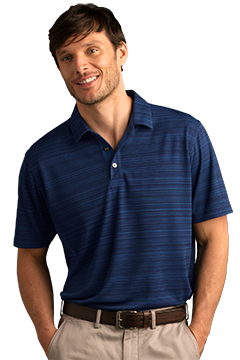 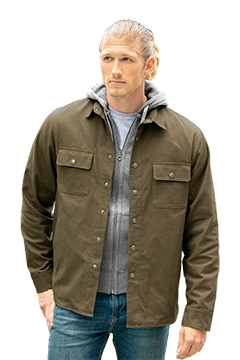 Coordinates with men's style #GNS7K020, heather pattern and color is slightly different. 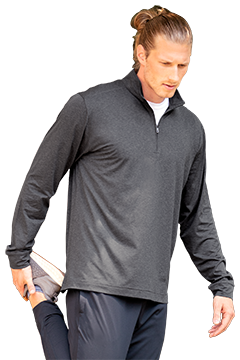 88% polyester/12% spandex, 6 oz.